Higher education is facing a future that is challenging but also presents more opportunities for innovation than ever before. In an industry that has remained largely unchanged for decades, how can the sector begin to make progress towards delivering unparalleled student experiences? 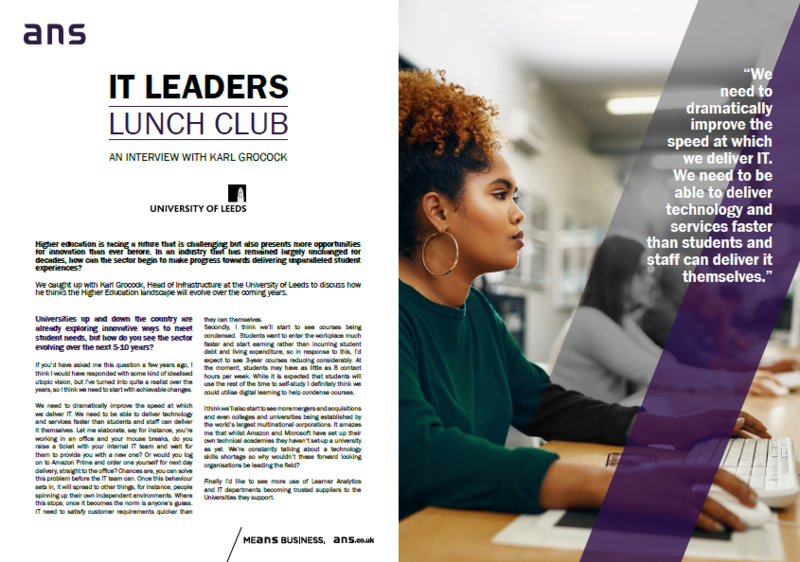 We caught up with Karl Grocock, Head of Infrastructure at the University of Leeds to discuss how he thinks the Higher Education landscape will evolve over the coming years.